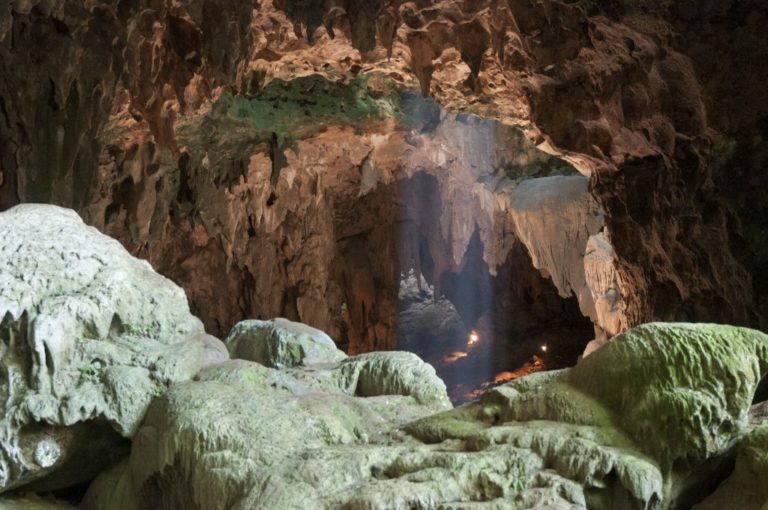 From a cave on the island of Luzon in the Philippines, researchers have unearthed fossils dating back more than 50,000 years ago, which they say belong to a new species of early human, now dubbed Homo luzonensis. H. luzonensis has a mix of ancient and modern traits: Most of its teeth are small and simple in shape, resembling those of modern humans, while its finger and toe bones have features similar to Australopithecus, ancestors of humans who are known to have last walked in Africa around 2 million years ago. Over the past decade, archaeologists have dug out several pieces of bones and teeth from a cave on the island of Luzon in the Philippines. These fossil remains, all estimated to be at least 50,000 years old, belong to a new species of early human, researchers have now confirmed in a study published in Nature. The journey to discovering this early human species, dubbed Homo luzonensis, has been a long one. Archaeologist Armand Mijares, an associate professor at the University of the Philippines and co-lead author of the study, first began excavating around Callao Cave on Luzon in 2003, when his team unearthed evidence of human activity dating back some 25,000 years. He returned to the cave in 2007, this time digging much deeper than he had the first time. At depths of around 8 to 9 feet (2.4 to 2.7 meters), among bones of deer and other animals, his team discovered a foot bone. 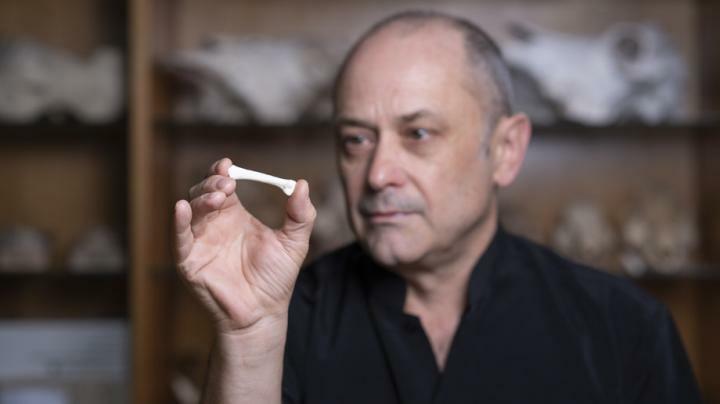 The team sent the bone to Philip Piper, a professor at the Australian National University, who soon confirmed what Mijares suspected: the bone belonged to a human. Five teeth belonging to Homo luzonensis. Image courtesy of Callao Cave Archaeology Project. Mijares’s team carried out more excavations in and around Callao Cave, eventually uncovering adult teeth, finger and toe bones, as well as a child’s femur, or thigh bone. These remains belong to at least two adults and one juvenile, the researchers say. Florent Détroit, a paleoanthropologist at France’s Musée de l’Homme and co-lead author of the study, and his colleagues then meticulously compared the fossils with all known species of our genus Homo, ultimately concluding that the fossils pointed to a Homo species that was new to science. H. luzonensis has a mix of ancient and modern features, the researchers say. Most of its teeth, small in size and relatively simple in shape, resemble those of modern humans — the small teeth also suggest that H. luzonensis could have been small-bodied — but its finger and toe bones have features similar to Australopithecus, ancestors of humans who are known to have last walked in Africa around 2 million years ago. It is this combination of unique dental and skeletal traits that makes H. luzonensis stand out, Piper said. “The discovery team has done a very meticulous and commendable job describing these new fossils, and their naming of a new species, in my opinion, is valid,” Brumm said. Philip Piper inspecting the cast of a foot bone discovered by Armand Mijares in 2007. Image by Lannon Harley. The researchers involved in the current study, however, are confident that H. luzonensis will hold up as a new species. “The skeletal and dental elements recovered have no equivalents anywhere amongst the known Homo lineage,” Piper said. Callao Cave in Luzon Island, in the Philippines, where the fossils of Homo luzonensis were discovered. Image courtesy of Callao Cave Archaeology Project. 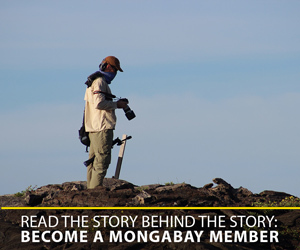 Mijares and Piper’s studies are not the only evidence of hominins or early humans in the Philippines. In 2018, another group of researchers published a study describing the bones of a butchered rhinoceros and stone tools they had discovered on Luzon, dating back some 700,000 years. Whether the tools were the handiwork of ancestors of Homo luzonensis or not is unclear, but it does suggest that early human species occupied Luzon between 700,000 and 50,000 years ago. Taken together, the discovery of both H. luzonensis on Luzon, and the tiny early human species H. floresiensis from the island of Flores in neighboring Indonesia in 2004, raises several questions about who the ancestors of these early humans were and how they dispersed across Asia. The findings also underscore the prominence of Asia in weaving together the story of human evolution. “Due to the numerous island archipelagos that make up Island Southeast Asia east of Wallace’s Line, and the potential to reach islands and become isolated, the region has the potential to become one of the real hotspots for understanding hominin evolutionary history,” he said.